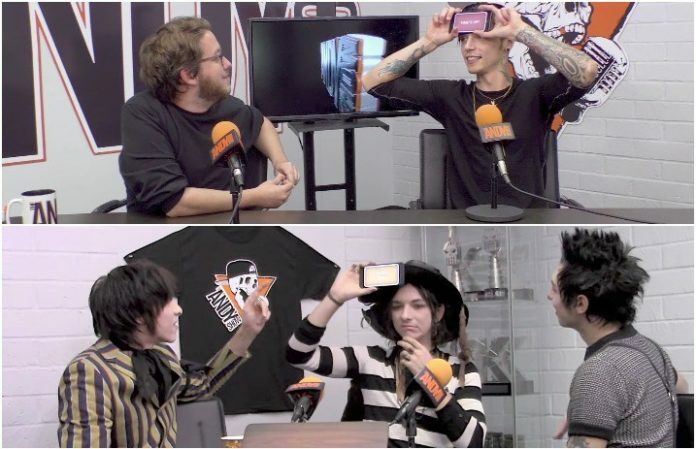 We've loved Palaye Royale’s Remington Leith and Biersack's friendship thanks to American Satan, and it’s amazing to see the two interacting IRL. They team up against each other for a real celebrity showdown on Heads Up!, and it’s clear they know their celebs… Well, most of the time. Of course, Palaye Royale said they’d dominate if there was a philosophers category, and we know we definitely wouldn’t want to be put up against them when it comes to a category like that! Plus, you can catch the full episode here. Do you think you’d stand a chance against Andy’s gaming skills? Let us know in the comments below!